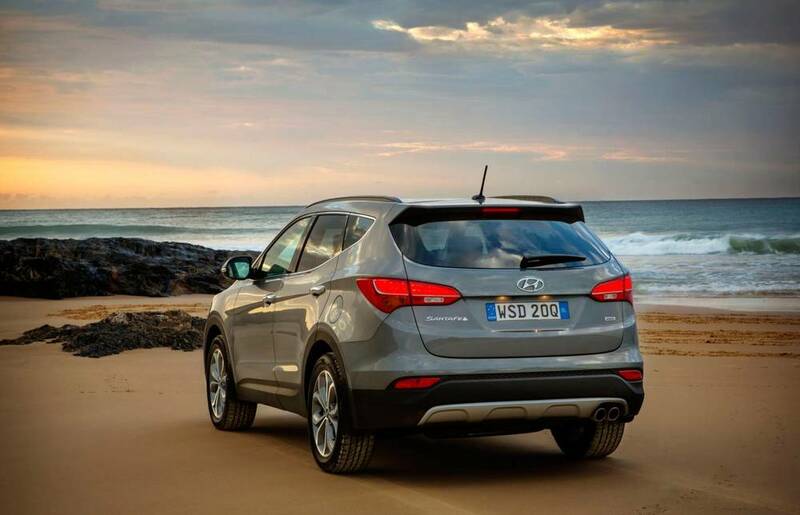 2015 Hyundai Santa Fe Review - Part 1 — Auto Expert by John Cadogan - save thousands on your next new car! The 2015 Hyundai Santa Fe Highlander is better than Hyundai the brand - at least in the minds of some otherwise potential customers. Find out why here. In this review you’ll find out why the 2015 Hyundai Santa Fe Highlander stands out as one of the market’s best mainstream seven-seat SUVs. Over the next few months I’ll be reviewing the 2015 Hyundai Santa Fe Highlander in detail. I’m doing it specifically because more people should put Santa Fe on their SUV short-list. But in the minds of some, the brand can be an impediment. In other words, if you get your arse in the seat of a Santa Fe, there’s a pretty good chance your arse will demand that you buy one, especially compared with the competition. Your arse will probably sit there and say: "I had no idea Hyundais were this good." ARE YOU STILL SCARED OF HYUNDAI THE BRAND? 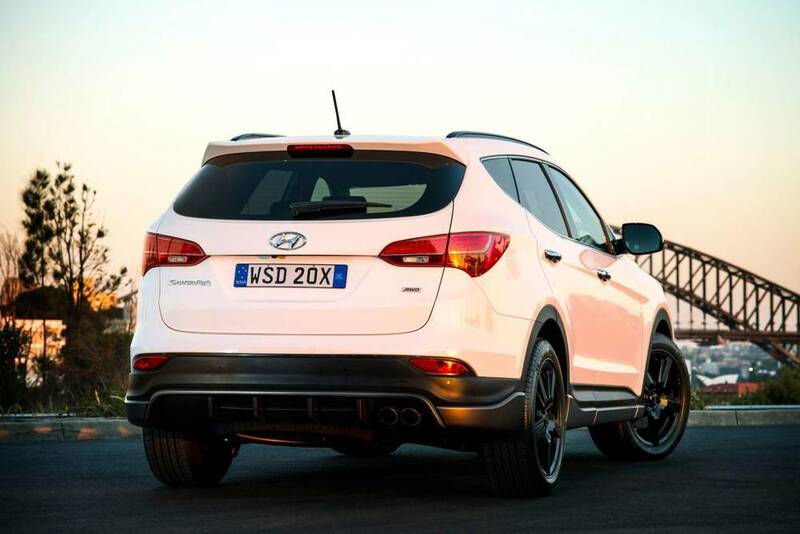 The Hyundai Santa Fe was facelifted for 2015 - it got extra equipment, but the fundamentals remained the same. I’ve been evaluating the latest top-spec 2015 Hyundai Santa Fe Highlander for three months now, and this review is aimed at you if you’re in the market now, thinking about buying a seven-seat SUV, but you’re worried about the brand. Is Hyundai’s transformation from cheap to desirable just baseless marketing spin, or is this concept built on a foundation of substance? Let’s find out below. Hyundai has supplied me the vehicle for evaluation, but they are not paying for this review, and and I’m receiving no compensation whatsoever from Hyundai nor its affiliates for producing it. The views expressed here are entirely mine, and they are completely independent. If Hyundai, or anyone else, doesn’t like anything I say, I’ll still sleep like a baby later on. This first instalment of the 2015 Hyundai Santa Fe Highlander review is about why you should put Hyundai - the brand - on your list. Some people don’t, because they equate Hyundai with cheap, in every sense of the word. Because they’re living in the past. That was then; this is now. If that’s you, it’s time to put those preconceptions to one side, and re-evaluate impartially. I can tell you the Japanese are spooked by Hyundai & Kia. I would not want to be a Japanese carmaker - squeezed from the bottom up by the South Koreans and their ever-better entrants, and pressured from the top by cheap Euro cars. The Japanese literally have nowhere to run. The 2015 Hyundai Santa Fe Highlander is not cheap. But it is very good value. Obviously, these two criteria are very different things. 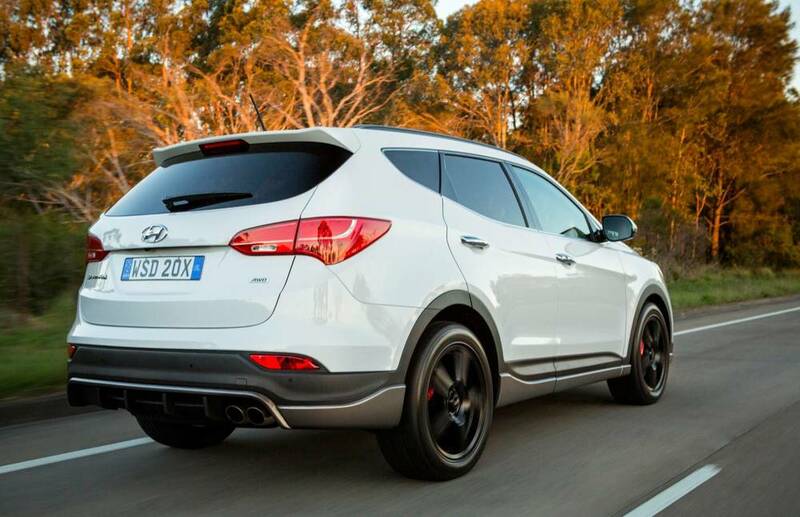 Here in Australia you’ll pay mid-$50,000s for the 2015 Hyundai Santa Fe Highlander. That’s a serious spend - at least, it is for most people. So, if you’re thinking about spending $50-something-grand on a 2015 Hyundai Santa Fe Highlander, which would have been an unthinkable, even absurd proposition a decade ago, here’s what you need to know. The 2015 Santa Fe Highlander is a real philosophical departure for Hyundai - a company on a very different trajectory today, compared with a a few years ago. Hyundai was the brand you bought because it was cheap. Not as good as the competition, just cheaper. That’s a very simple commercial proposition. 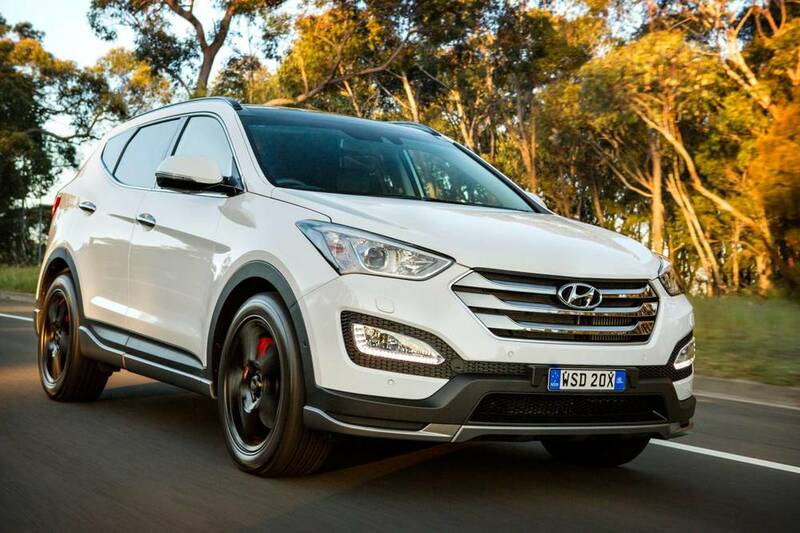 But this is quite different - 2015 Santa Fe: not cheap, but instead, very good value. Hyundai is fighting something of an uphill battle against lingering preconceptions from its cheap and sometimes nasty, past - but people are coming around. The goalposts are in a state of flux. Partly that’s because Hyundai vehicles are intrinsically different today. But Hyundai’s been at the helm of the SS ‘buy me - I’m cheap’ around for about 20 years, and these things - even though they’re intangible - they acquire significant momentum. Even when you try as hard as you can to go about, they resist. One recent event came along and allowed Hyundai finally to achieve escape velocity from Planet Cheap: The global financial crisis, 2009. That’s when the four horsemen of the automotive apocalypse rode out of Hell, opened the seven seals and blew the trumpets at General Motors and Chrysler. They threw Ford into a lake of fire and imprisoned it for 1000 years in a bottomless pit, or was that Satan? I’m pretty sure it was Ford, but I always get them mixed up… Then the horsemen galloped across the Pacific and inflicted the remaining 18 or 19 chapters of Book of Revelation on the likes of Honda and Nissan. Lakes of burning sulphur, the sea running as blood, pestillence, plagues... 2009 kinda sucked, for most car companies. It was so bad, those traditional big automotive players - Ford, Chrysler, GM, Honda, Nissan - they still can’t find their dicks in the dark, today. But the GFC wasn’t all bad. Even as other car companies were making like the Titanic in the early hours of April 15, 1912, the GFC proved to be a real launchpad for Hyundai - because people still needed cars, and Hyundai had the right product at the right price. As other carmakers were tanking, Hyundai’s sales just accelerated, and that is what allowed the massive R&D reinvestment required to produce world-class vehicles like the Santa Fe today. I guess one car company’s Biblical apocalypse is another car company’s salvation, or at least, launchpad - proving everything (even carmageddon) is a good news/bad news story. Globally the automotive deckchairs are still being rearranged - faster than at any other time in recent memory. Hyundai is on the up. Here in Australia today, Hyundai is the fourth biggest automotive brand by sales - behind Toyota, Mazda and Holden. Hyenas are already gnawing on the bones of Ford as a potential starter for a podium finish any time in the foreseeable future, and Holden will absolutely give away its place on the podium before 2016. Some time this year, Hyundai will step up into third spot. The 2015 Santa Fe Highlander is the best vehicle in the Hyundai lineup today - literally it’s the shape of things to come. The harbinger of greater South Korean success. Santa Fe is a 5am wakeup call to direct competitors from the land of the rising sun but also to prestige brands. Compare all of the features you get standard in a Santa Fe Highlander for $50-something-grand to what you get in a an Audi Q7, a Volkswagen Touareg, or a Mercedes ML. 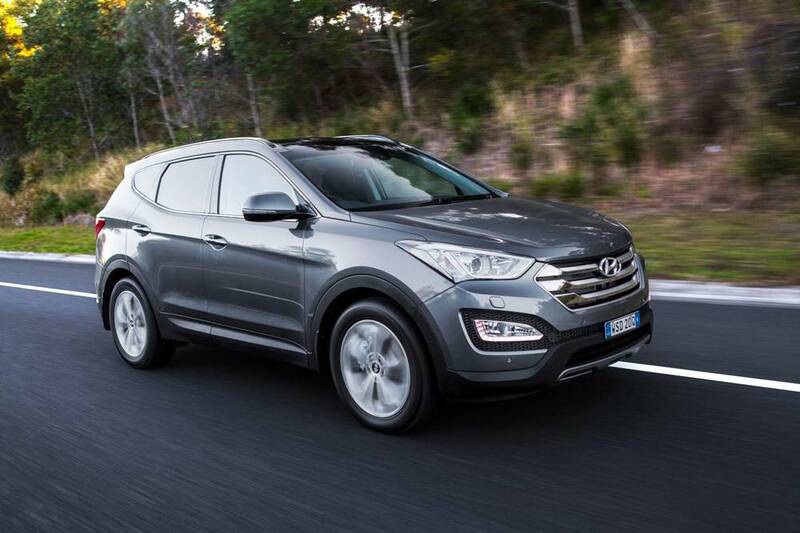 Sales of Santa Fe have surged 12.5 per cent so far this year, year on year. The price really doesn’t seem to be that much of an impediment, because the value proposition absolutely adds up. In the next instalment of this long-term 2015 Hyundai Santa Fe Highlander evaluation we’ll check out in detail some of those competitors, and see why the Hyundai Santa Fe Highlander blows them into the weeds. If you already own a Q7, a Touareg, or an ML, I’m terribly sorry to hear that. In time, the pain will heal, and with the right medical treatment and intensive physiotherapy you might even one day walk again. Anything is possible.